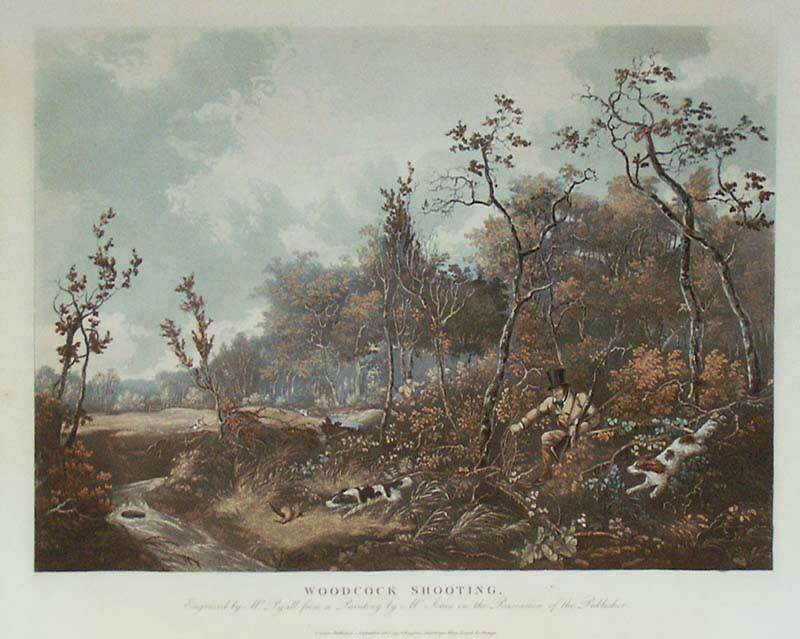 A very charming scene depicting two gentlemen and their dogs emerging form the woods to find the woodcock that they have just been shooting. In an Arthur Ackermann hand-carved frame with ornate lead corners. Henry Pyall (1795-1833) lived and worked in London and during his relatively short life succeeded in producing a number of very fine aquatints after the work of his contemporaries. He concentrated on topographical and sporting subjects and was one of the first engravers to capture the early days of steam trains in print.